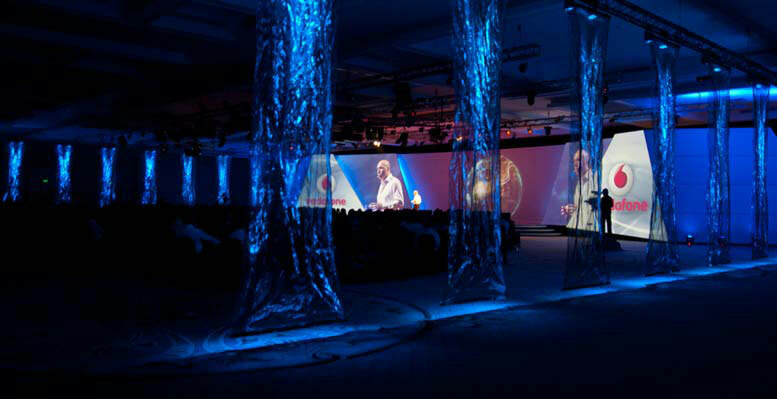 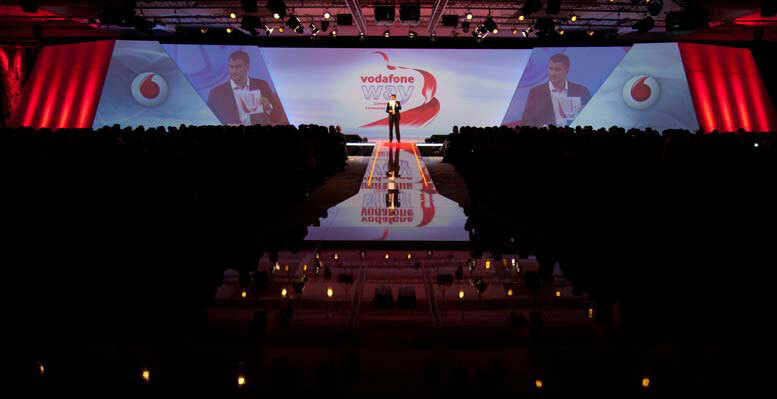 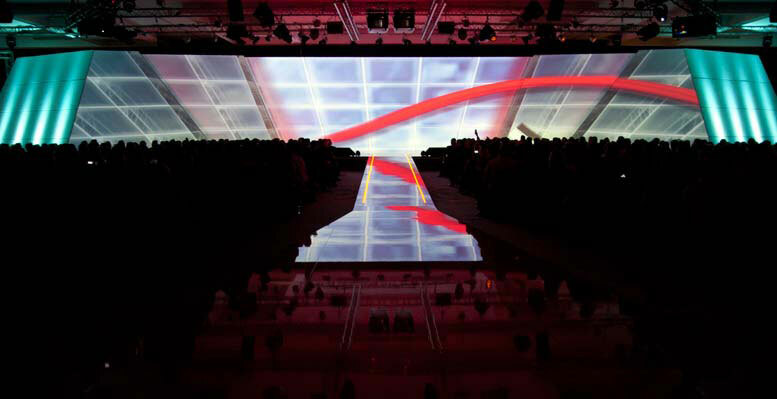 Daniele Zambelli managed the creative direction of the Vodafone Italia Convention Consumer 2010 for the agency Momentum. 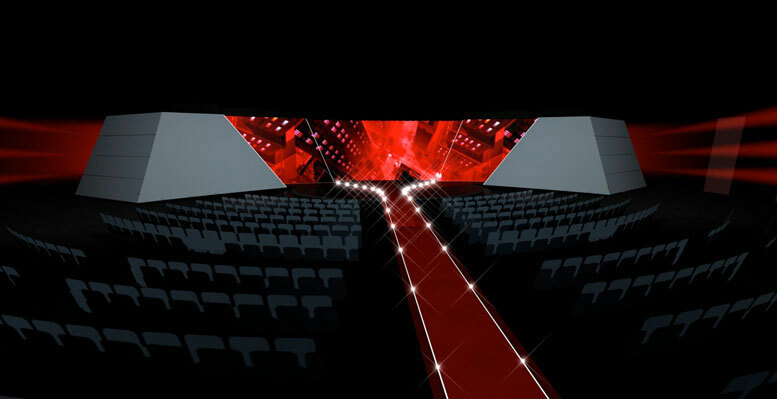 The scenography was integrated with the technique of settings in order to create a revealing effect able to give the illusion that the scene got animated as it was a “living” structure. 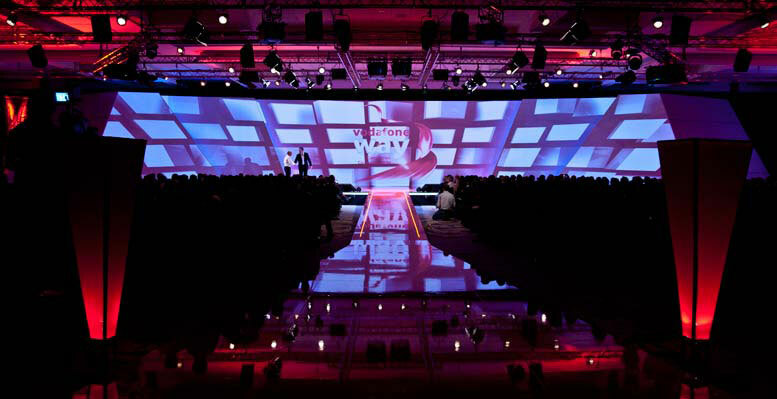 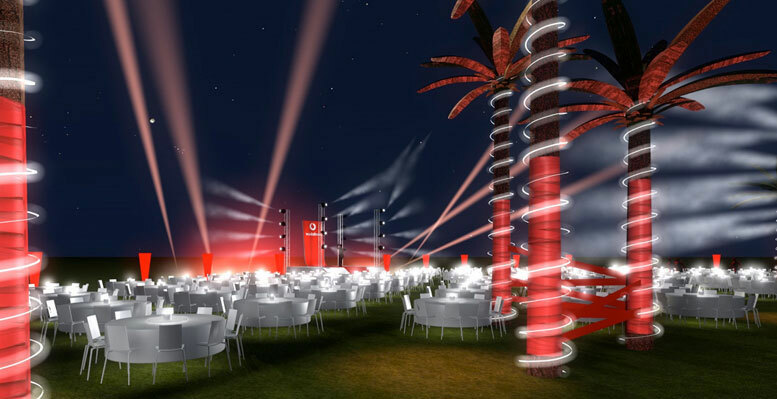 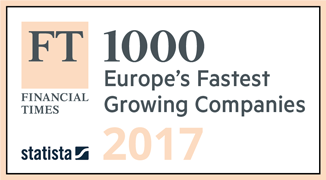 The 800 guests are welcome in a vibrant atmosphere; the scenography increased value with lights games and projections emphasizing its perspective power. 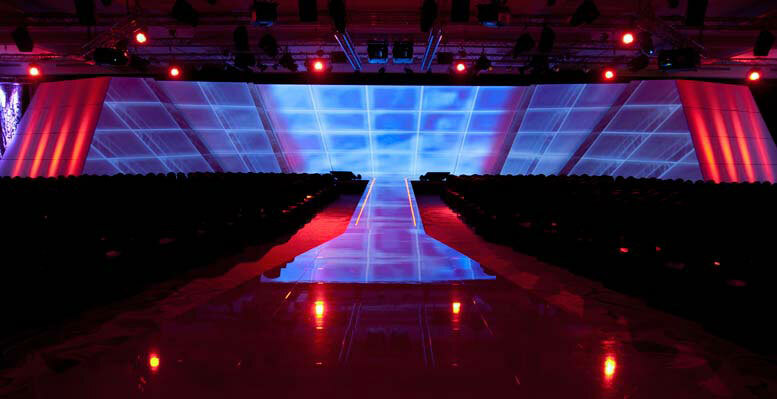 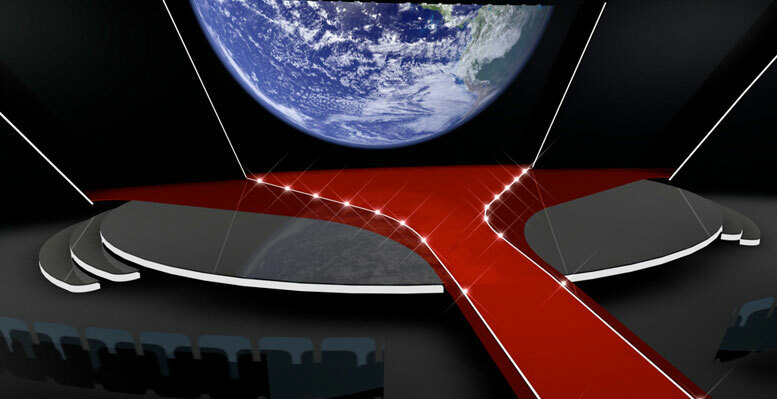 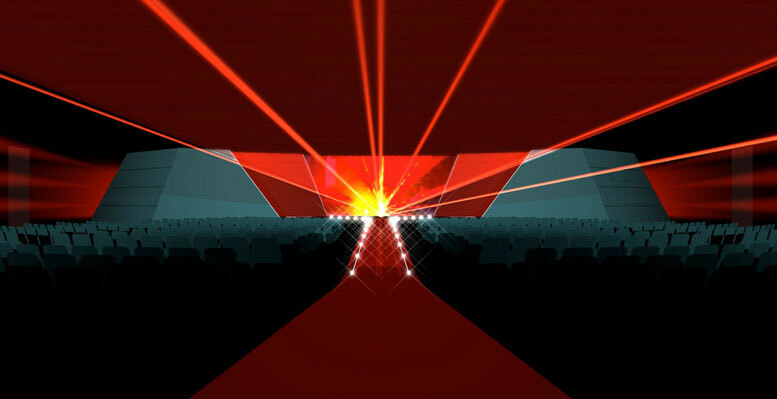 A central red carpet, slightly leaning marked by Led lights, gives centrality and appeal to the hall. 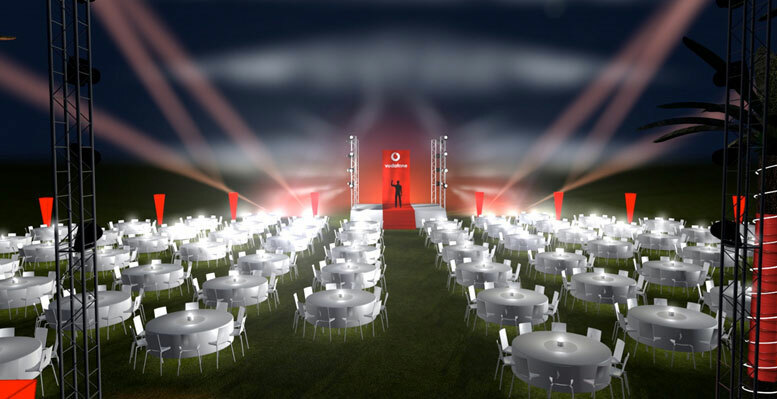 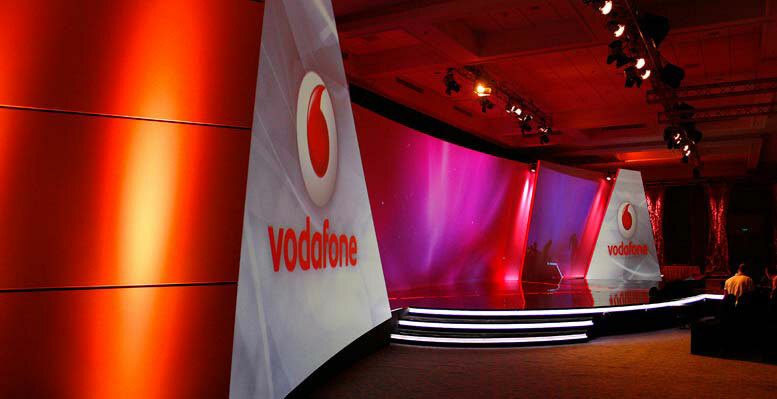 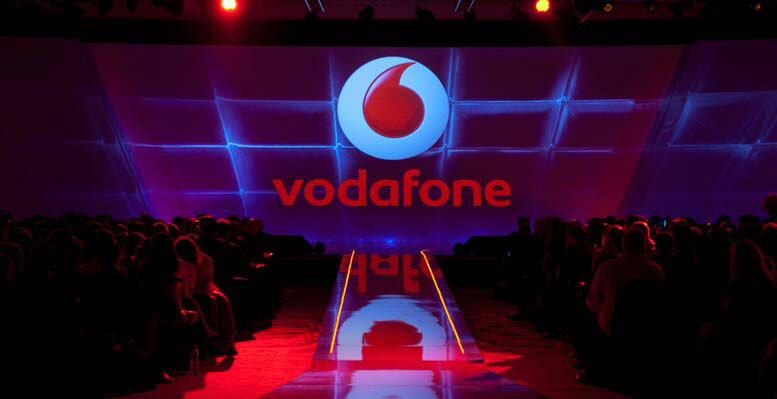 The event pay-off is: THE VODAFONE WAY. 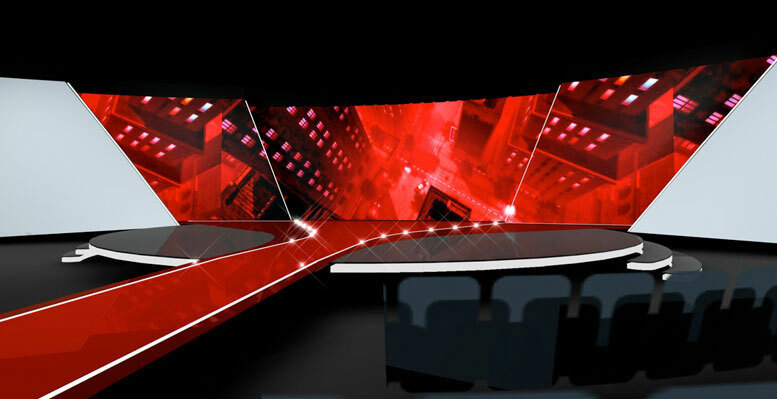 The front scene is animated by projections and hosts in its whole length all the video contributions.